We are pleased to introduce the first special edition 1911 from Ed Brown Products, Inc. in collaboration with Sheriff Jim Wilson. This special edition 1911 is called the Sheriff Jim Wilson Special, and is based on our popular Executive Elite series, with a few enhancements as per Jim Wilson's specifications. They are in production and we are accepting orders now. The Jim Wilson Special model will grace the cover of the February issue of Shooting Times magazine, which hits the newsstand on December 26, 2006. Order early to secure one of these limited edition specials! The 2007 catalog will be mailed out in early January 2007. If you haven't reserved your FREE hard copy yet, you may do so here. The digital version of the 2007 catalog is available for download now. There are also a number of new parts for 2007, including 25lpi mainspring housings with maxi-well in both blue and stainless, chainlink mainspring housings in blue and stainless, and chainlink bobtail housings in blue and stainless. David Williams of Geneseo was recently named Pistolsmith Of The Year by the American Pistolsmith's guild at its annual awards dinner in Las Vegas. He is only the 21st person to receive this honor, which is the most prestigious in the profession. Williams, who has been the director of Springfield Armory's custom shop since 1996, was given the award, not only for his pistolsmithing skills but for his leadership and innovation in the industry. It just came to my attention, that the 10-8 site now has an on-line store, from where you can purchase their sights and other 1911 parts. Do pay them a visit by clicking here. Dont forget to bookmark that site, new products will be added regularly. The good folks at EGW came up with another neat idea. 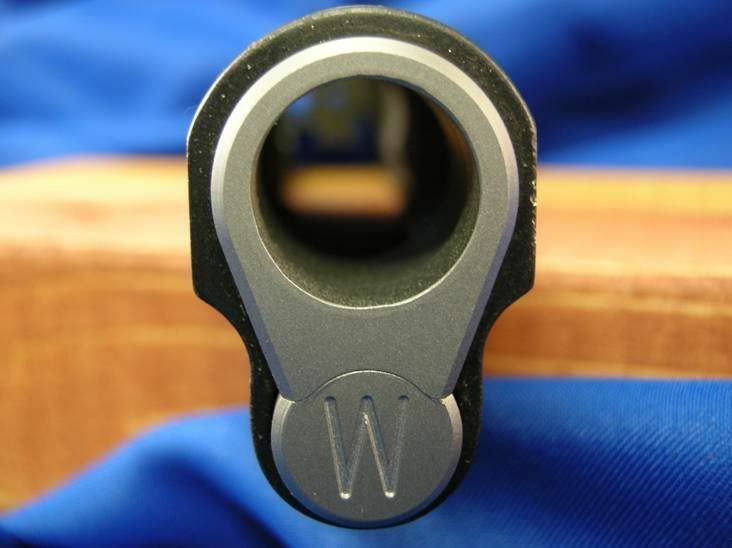 A monogrammed recoil spring plug with a matched bushing. Para Ordnance 2007 catalog is out. You can download it from http://www.parapxt.com/catalog.html. It looks as if Kimber's problems with their external extractors continue. So the NY company is fixing the problems of customers pistols, by replacing the slides with new ones, with internal extractors. It looks as if John Moses Browning knew very well what he was doing. I was just visiting Caspian Arms site, and I noticed that they have just opened their On-line Store, from where you can order all kind of small parts and accessories for your 1911 pistols. Visit their site, by clicking on the banner on the right-hand column. It is our sad duty to report the passing of Jeff Cooper on the afternoon of September 25, 2006. Jeff died peacefully at home while being cared for by his wife Janelle and daughter Lindy. There will be a private internment at Gunsite by invitation, with a public memorial service at the Whittington Center at a date to be announced. Our thoughts and prayers are with the family. Click here to see some of Col. Cooper's 1911s, from his private collection, as they were shown in our Home Page and Forums Site.